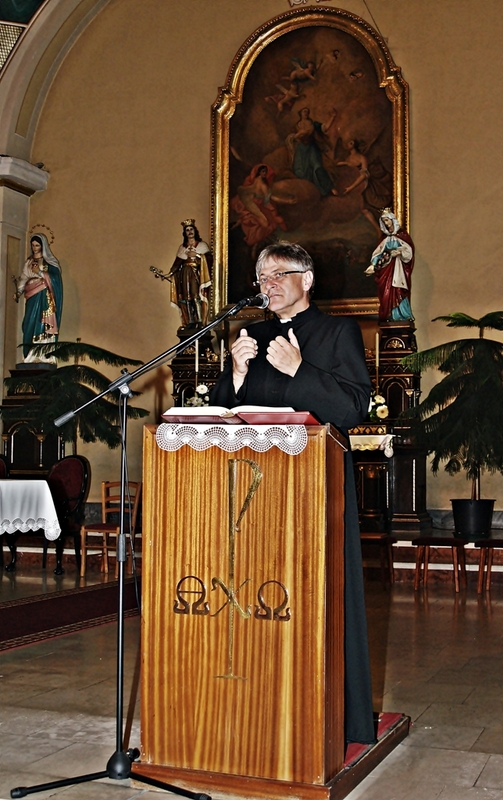 The Spiritual Movement of Saint George, which was established by Sir Ferenc Kertész-Bakos and is open to every knight and dame of the different Orders, held its meeting in Šaľa (Vágsellye – Slovakia) on the 18th of September 2011. Numerous knights and dames complied with the invitation and attended the event representing the Knights of Malta (KMFAP), the Sovereign Order of Cyprus, the Ordo Hungariae, the International Knightly Order of Saint George, as well as the Saint Lazarus Order. The mass – related to the Saint’s Day of City Šaľa – has been celebrated by Hon. Abbot Rev. George Herdics from Dunajská Streda supported also by Rev. 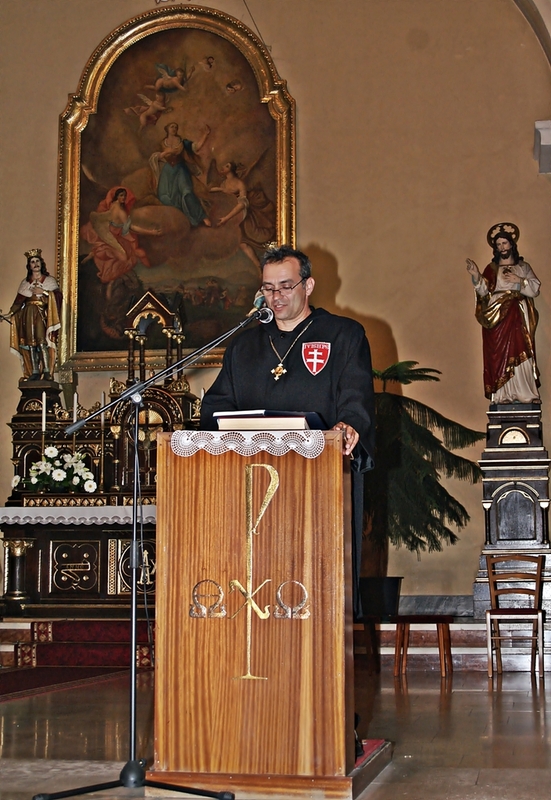 László Parák regional dean and Rev. Sklenka Dušan chaplain from Šaľa. After the mass the knightly community has held a spiritual retreat leading by Sir Monsignore Ladislaus Szakál – Honorary Chaplain of His Holiness The Pope and Sir Ferenc Kertész-Bakos. After the mass Sir Alexander Czellárik – Prior of KMFAP for Slovakia and his wife, Lady Maria Czellarikova organised sightseeing for the present knights and dames, and also gave a high standard reception in honour of the guests in the Knights' Club of Slovakia. 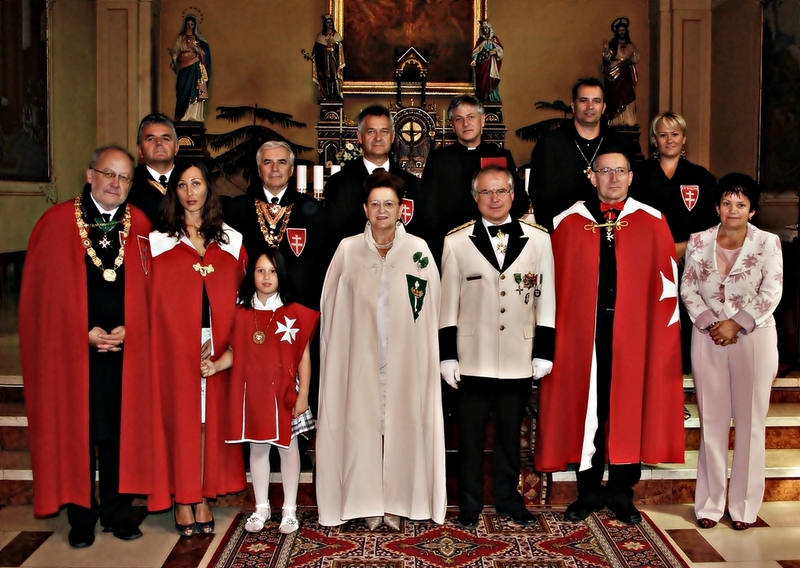 The Sovereign Order of Saint John of Jerusalem, Knights of Malta, Federation of the Autonomous Priories has been represented by Sir Alexander Czellárik, Lady Mária Czelláriková, Sir Monsignore Ladislaus Szakál, Lady Júlia Czapáry-Nagy, Damsel Klára Czapáry-Martincsevics, and Sir András Czapáry-Martincsevics, while Sir Ferenc Kertész-Bakos represented the Sovereign Order of Cyprus.